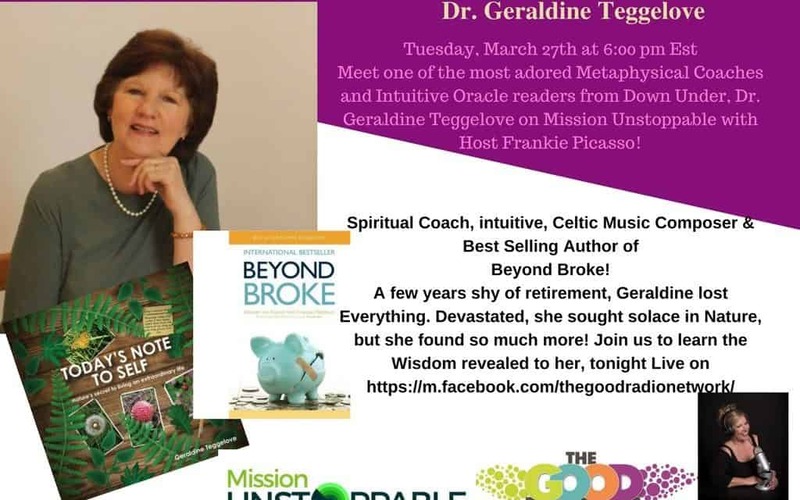 At an age when most people are thinking of retiring, or have already retired, Geraldine literally lost it all – complete and total financial meltdown. After a lifetime of achievement, she was completely broke and struggling to put food on the table. Bewildered and in shock by what had happened, she wondered how she was ever going to survive the next day, let alone the next few years and into retirement. But this story does have a happy ending! This former music teacher decided to throw caution to the wind and study everything she could about Metaphysics. 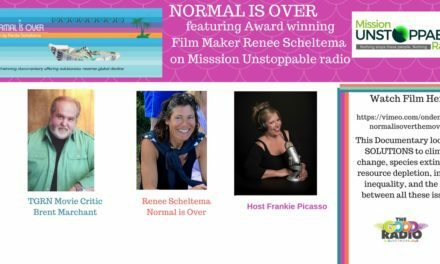 After a great deal of study, she earned her Doctorate and this combined with a wisdom that comes through life experience, now enables her to fulfill her passion and purpose in assisting others to overcome adversity, heal their emotions, reconnect with all their desires, and find the courage and strength to step out and shine. 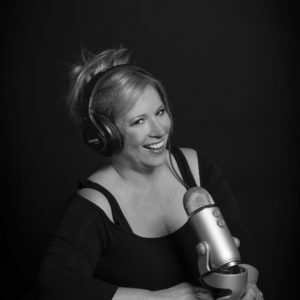 Geraldine is the author of the best selling book, Beyond Broke, hosts her own radio show, Geraldine Teggelove LIVE, works as an intuitive and Spiritual Life Coach, designs beautiful oracle cards and offers amazing readings.